A couple of months ago, I had the pleasure of attending the Chanel Beauty Boutique at Chadstone Shopping Centre, Melbourne, for a makeover. I was after a foundation which would hydrate my skin, after the harsh Winter climatic conditions had left my skin parched. After having read about Chanel foundations in magazines, watching countless YouTube videos and hearing really great things about Chanel foundations, I decided to try them out for myself! Where else other than the Chanel Beauty Boutique would one go to try Chanel products? The customer service is second to none and I was treated like a princess. The foundation that the sales assistant recommended for dry skin types was the Vitalumiere Satin Smoothing Fluid Makeup in #20 Clair. This is a fantastic natural looking foundation, with an SPF15, that once applied, lasts all day long. The skin is able to breathe and never feels tight or looks cakey. Perfect! For a high-end cosmetics brand, Chanel is at a very reasonable price point. After pricing some other high-end brands, Chanel came out the cheaper option, as opposed to Bobbi Brown or even Nars! 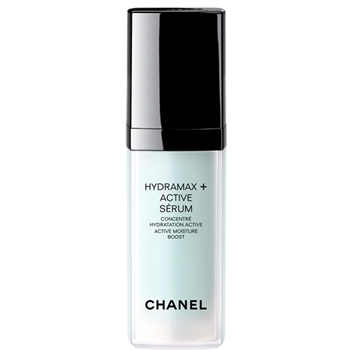 During my makeover, the sales assistant used Chanel skincare underneath the foundation, which included the Hydra Beauty Serum, made from the flowers of jasmine. I have ran out of this product, but will eventually be replenishing this as it does the job it's set out to do. A lot of products claim to hydrate, but once you try them, they don't live up to their claims. This hydrating serum actually works! It's amazing! I also tried Chanel's Soleil Tan De Chanel Bronzing Makeup Base, Powder Blush in #65 Espiegle, Precision Lip Definer in #38 Peche, and the Rouge Allure lipstick in #32 La Ravissante, from their new collection. I couldn't resist and purchased everything that was used for the makeover. I was that impressed!